For your consideration is a Historic Native American Studies Book Collection. Included in the collection is The Horse in Blackfoot Indian Culture with Comparative Material From other Western Tribes by John C. Ewers. As well as The Montana Cree A Study in Religious Persistence by Verne Dusenberry. Both of these books are academic in nature as they are published for the Smithsonian Institution of American Enthology and Acta Universities Stockholmiensis Stockholm Studies in Comparative Religion respectively. Published in 1955 the Horse in Blakfoot Indian Culture gives an in depth analysis of how the Blackfoot Indians interacted with the introduction of horses. From care of, breeding, use in war and how they were prepared for food this book covers an array of observations made about their culture. The Montana Cree written by Verne Dusenberry and printed in Sweden gives a first person point of view of the Cree religion. 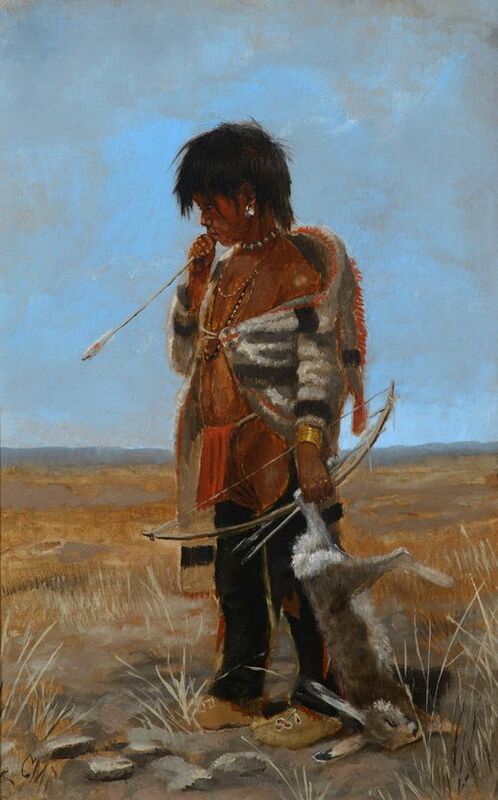 Dusenberry published his work in 1962 after spending many years in the Montana area and interacting with the Flathead-Salish, Assiniboine, Gros Ventre, Cree, Northern Cheyenne and Rocky Boy reservation. His first hand experience gives a deep appreciation for the culture and religion in this area. The larger book measures 9 1/2" x 6 1/4".